Naoto and I have walked past a tiny cafe dozens of times during our many stays at the Sangenjaya b hotel. 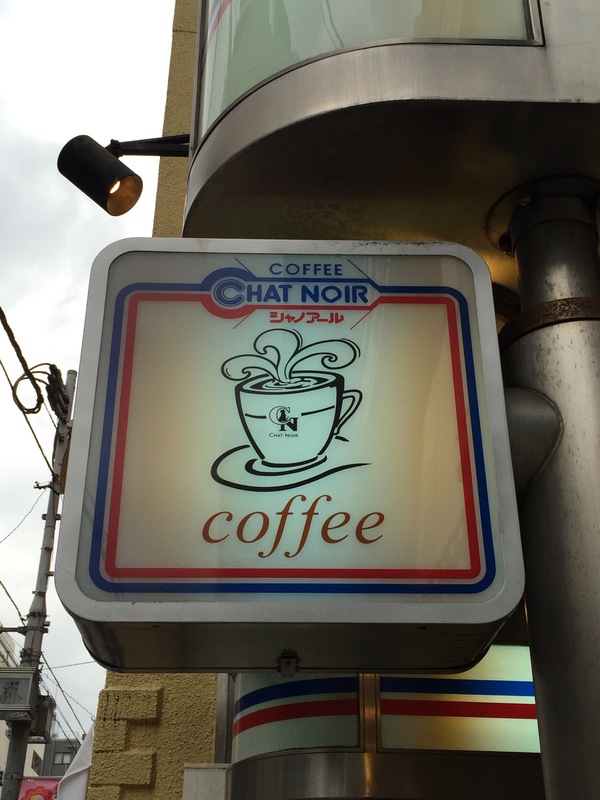 It’s called the Chat Noir and they specialize in desserts but offer a few breakfast, lunch, and dinner options, too. 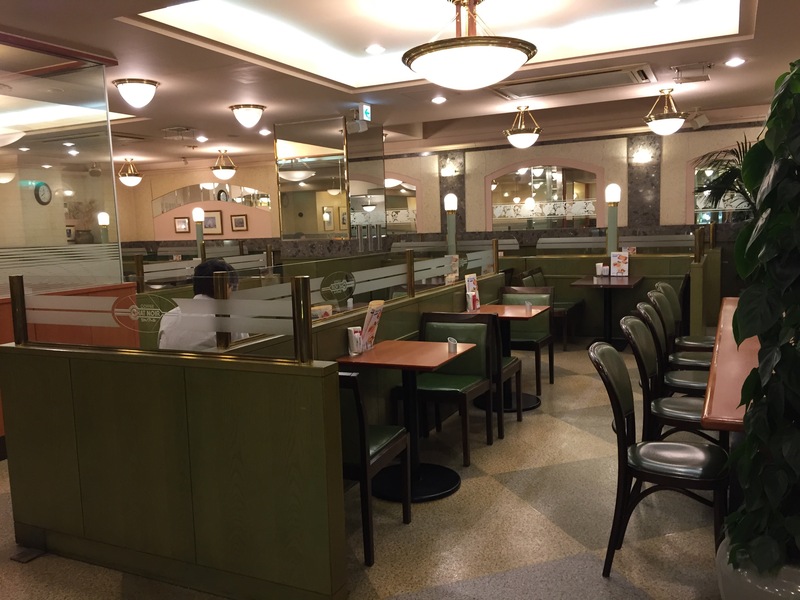 We have a standing daily breakfast date with Mister Donut, but on Friday morning we were both craving a real breakfast and we happened to notice the price for a morning set at Chat Noir. ¥150! 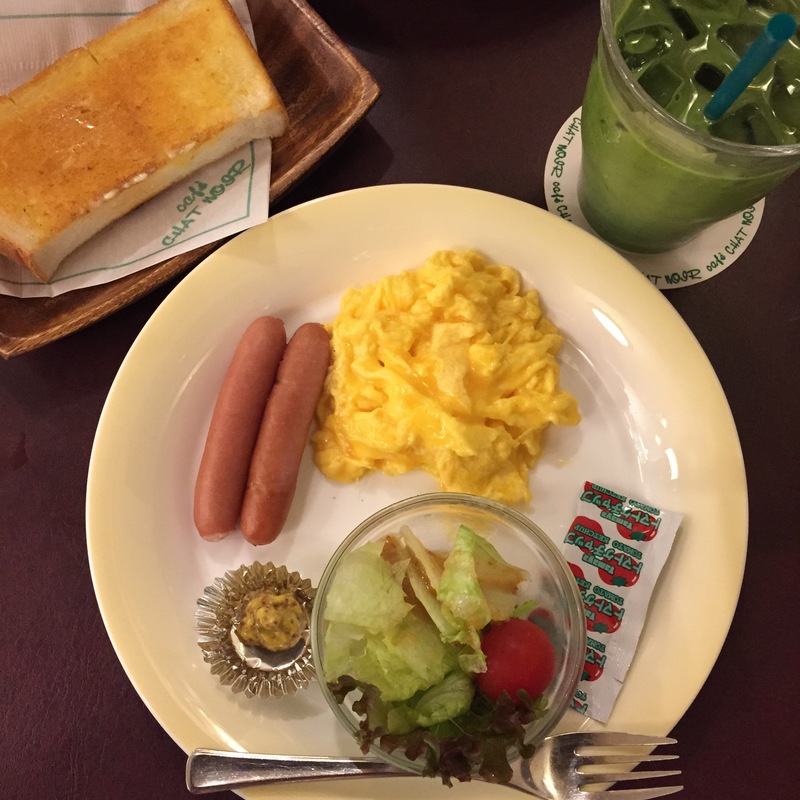 For a little more than a dollar (the exchange rate is amazing right now, around ¥122/$1) we had a breakfast of two sausages, scrambled eggs, a salad, and toast. I know it may look kind of small, especially compared to American diner standards, but it was definitely enough. The sausages were so tasty. They had a snap that would make a Chicago dog weep with envy and the salad dressing was so good that we went back on Sunday to try it again. 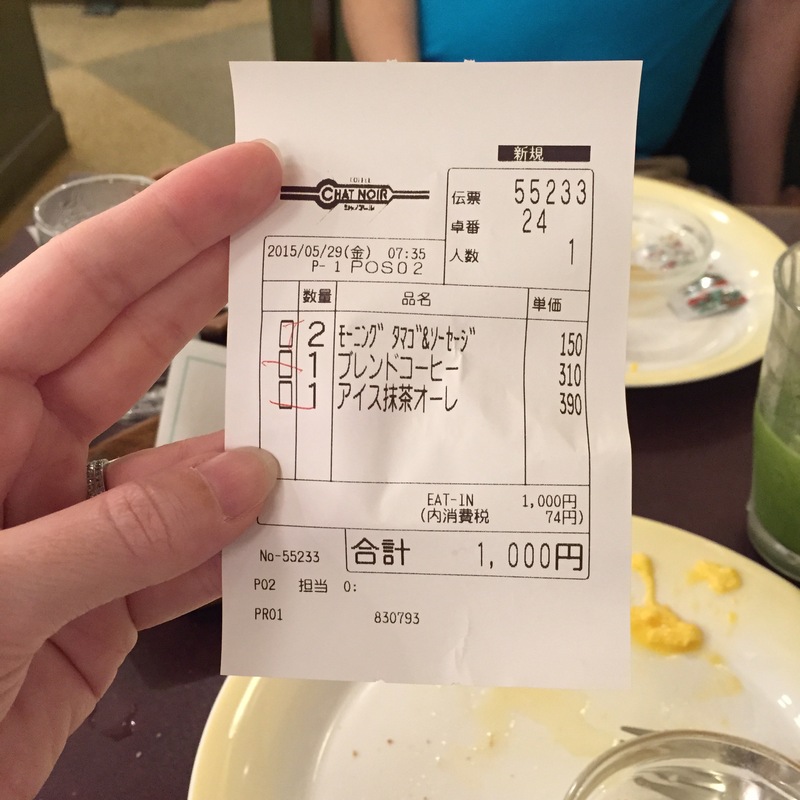 Our bill ended up being ¥1000 because Naoto had a ¥300 coffee and I had a ¥400 iced matcha latte (the drinks are where they “get you”) but that’s still an excellent price for breakfast I’d say.